A Wrongful Death occurs when a person’s death is caused by the wrongful actions or negligence of another. The idea behind a wrongful death lawsuit is that the wrongful death, in addition to injuring the person who died, also injured people who depended upon the deceased for financial or emotional support. A wrongful death action can be filed against the parties who caused the death and the lawsuit maintained on behalf of the deceased and on behalf of the members of the family who have lost the company and support of the deceased. For example, a child might be entitled to compensation for the personal loss of a father through wrongful death as well as the financial support the child would have received from the deceased parent. A wife could recover damages for loss of her husband’s love and companionship and a lifetime of expected support. A parent’s recovery for a wrongful death would be limited to damages for loss of companionship but not support. Wrongful death survivors can usually sue for the deceased’s conscious pain and suffering and medical bills paid for the care of the person who was injured as well as for funeral expenses incurred after a wrongful death. However, survivors’ damages must consider what probably would have occurred in the future. Other general and punitive damages. Punitive damages are awarded not just to compensate the plaintiff, but to punish the defendant. As a result, punitive damages cannot be recovered unless it is proved that the defendant’s conduct, which caused the victim’s death, was intentional, malicious, or especially egregious. A property owner who fails to meet safety regulations. 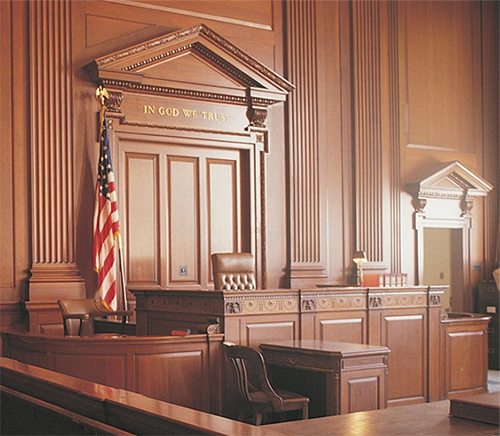 These cases are complex and require an experienced Wrongful Death attorney. Attempting to develop and explain, in monetary language, the future disadvantages and ruin caused by the unexpected parting of a loved one is often an impossible endeavor for a victim’s family and requires the expertise and professional understanding of an aggressive and experienced Wrongful Death attorney. The Law Offices of Roderick C. White have the knowledge, experience, and resources to help. Furthermore, these cases must be pursued within certain time frames. The statute of limitations is the time period fixed by law within which a lawsuit must be commenced. The time usually runs from the time of the victim’s death but under certain circumstances a lawsuit initiated beyond the statute of limitations may be allowed to proceed if the act which caused the death was not discovered until later. For example, the time frame to file a lawsuit may run from the date the family discovers the responsible person’s negligent activity, rather than the date of the victim’s death. A claim, even a valid claim, may be denied if it is filed after the statute of limitation has run. If you believe that you or someone you know has a possible claim for wrongful death, it is important that you speak with a qualified attorney at your earliest opportunity to preserve your rights. In addition to legally protecting your claim, early action will undoubtedly preserve evidence and identify crucial witnesses and information necessary to win your case. If you have any suspicion that a friend or loved one has died or been killed due to the negligent or intentional actions of another, the network of legal professionals here at the Law Offices of Roderick C. White are here to ensure that justice is obtained for the family.